Have you ever wondered why we Christians do what we do for church every Sunday morning? Why do we “dress up” for church? Why does the pastor preach a sermon each week? Why do we have pews, steeples, choirs, and seminaries? This volume reveals the startling truth: most of what Christians do in present-day churches is not rooted in the New Testament, but in pagan culture and rituals developed long after the death of the apostles. Coauthors Frank Viola and George Barna support their thesis with compelling historical evidence in the first-ever book to document the full story of modern Christian church practices. Many Christians take for granted that their church's practices are rooted in Scripture. Yet those practices look very different from those of the first-century church. The New Testament is not silent on how the early church freely expressed the reality of Christ's indwelling in ways that rocked the first-century world. Times have changed. Pagan Christianity leads us on a fascinating tour through church history, revealing this startling and unsettling truth: Many cherished church traditions embraced today originated not out of the New Testament, but out of pagan practices. One of the most troubling outcomes has been the effect on average believers: turning them from living expressions of Christ's glory and power to passive observers. If you want to see that trend reversed, turn to Pagan Christianity . . . a book that examines and challenges every aspect of our contemporary church experience. "In recent years, an increasing number of us pastors have recognized a major blind spot in the living out of our commitment to a Biblical lifestyle. That blind spot is ecclesiology (the doctrine of the church). As a former Presbyterian pastor, I believe PAGAN CHRISTIANITY will play a vital role in shaping the growing conversation on this subject now and in the future. Well researched and well written, this book is accessible to both church leaders and those formerly known as the laity." John White, former Evangelical Presbyterian pastor; Community Facilitator for LUKE TEN: A Community of Practice for Church Planters. "PAGAN CHRISTIANITY documents specific areas where contemporary church life violates Biblical principles. It is painful to read because it requires taking a journey beyond the comfort zone of our present paradigms. Whether you agree with all the conclusions the author draws or not, you will have no argument with his documentation. It is a scholarly work with an explosive conclusion. Particularly for those of us in the modern cell church movement, this is a valuable tool to force rethinking the meaning of the word "ecclesia." The Holy Spirit is not pleased with churchianity as we practice it, nor is the watching unchurched world." Ralph W. Neighbour, Jr., author of "Where Do We Go From Here?" and founder of the Cell Church Movement. 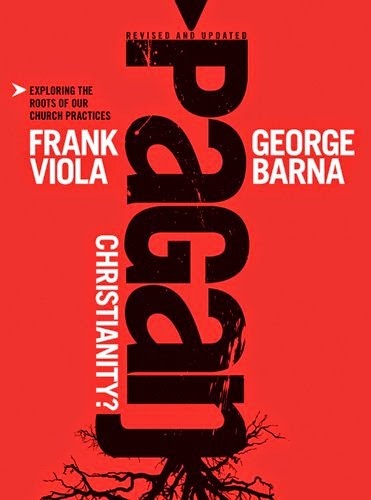 "Frank Viola and George Barna have teamed up to create an intelligent, readable, and yet challenging work about the historical roots of the many unbiblical modern church practices that hinder Christian growth in quality and church growth in quantity. Anyone who reads Pagan Christianity with an open mind and heart will never see the church the same way again. May those with newly-gained spiritual eyes not stop there, but go on to do something about it." Rad Zdero, Ph.D., Author of "The Global House Church Movement" and Editor of "Nexus: The World House Church Movement Reader." "Frank has done a masterful job both researching and then weaving together the threads that have made modern church practices what they are - pagan substitutes for authentic church life. One nice thing about PAGAN CHRISTIANITY is that it provides the history behind a perception that many of us Christians share: The way the modern Western church does things has little to do with the organic life we see in the New Testament. The difference is so great sometimes that one wonders how one could possibly have transmuted into the other." Hal Miller, author of "Christian Community: Biblical or Optional?" "This is an important book which demonstrates that many of the practical aspects of contemporary church life, ministry and structure have little or no biblical basis and are, in fact, inspired by a wide variety of non Christian patterns and ideas most of which are inimical to Christian life and growth. Many readers will find this book challenging in the extreme but all who are concerned with the future of the church should read it." Dave Norrington, Lecturer of religious studies at Blackpool and the Fylde College, author of "To Preach or Not to Preach." Just as babies slowly learn to communicate in more and more complex ways, so the new believer should move from simply crying out to God to a developed prayer life. The basic elements of prayer found in the Lord's Prayer are a helpful guide to Christians hoping to enrich their prayers. In On Earth as It Is in Heaven, beloved teacher and writer Warren W. Wiersbe explains and applies the elements of the Lord's Prayer to everyday prayer so readers get excited about maturing in their personal prayer ministries. Any reader wanting to experience a more satisfying and effective prayer life will cherish this thoughtful book. 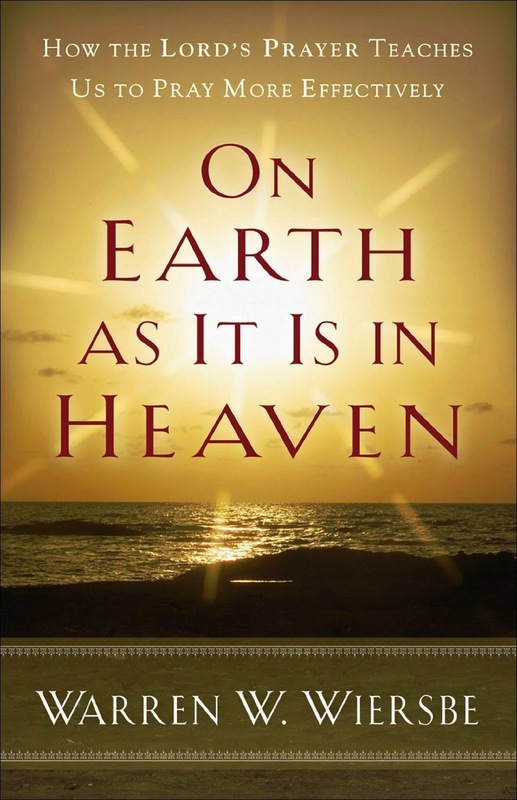 Warren W. Wiersbe is a pastor, author, and editor of more than 150 books, including 50 People Every Christian Should Know, On Earth as It Is in Heaven, and Through the Year with Warren W. Wiersbe. Today his primary ministry is serving others through writing. He lives in Nebraska. 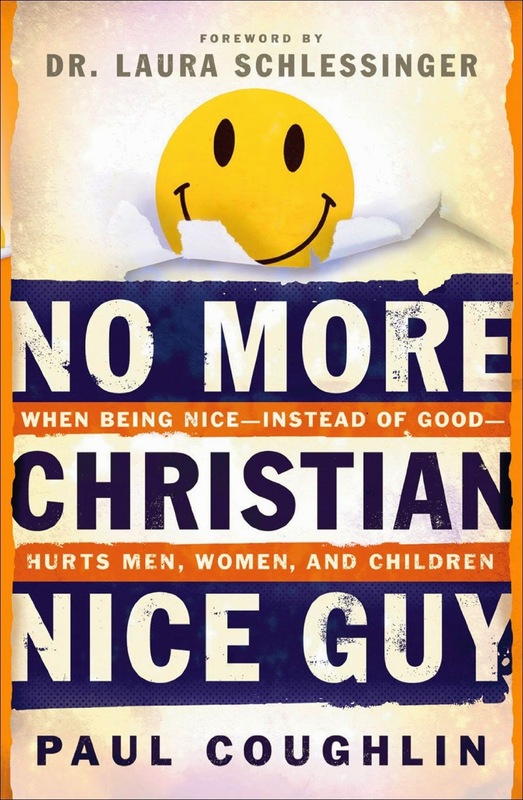 "Recovering nice guy" Paul Coughlin points the way for al men who yearn to live a life of boldness and conviction--like Jesus. Using humorous examples from his own life, powerful and poignant stories, and vivid examples from contemporary culture, Coughlin shows how he learned to say no to the "nice guy" syndrome. After all, Christian nice guys aren't always so nice. In the name of appearing Christian by being agreeable, they can lie, keep secrets, manipulate, duck responsibility, and much more. Using the biblical model of Christ as his example of a real man, Coughlin shows men how to become both gentle and bold. A powerful challenge and a hopeful message that elevates the true biblical model of manhood above prevailing views in the church and contemporary culture, this important book helps men discover who they are in Christ and how to live for Him. "JohnEldredge gave men permission to be 'wild at heart.' Paul Coughlin shows us how to do it. This book is a road map to a larger life." "Paul Coughlin is challenging our thinking on what it means to be God's man in the twenty-first century. The apostle Paul pens in 1 Corinthians 16:13, 'Act like men.' That begs the question, What is a man? Coughlin is asking that question. This book is his excellent answer." 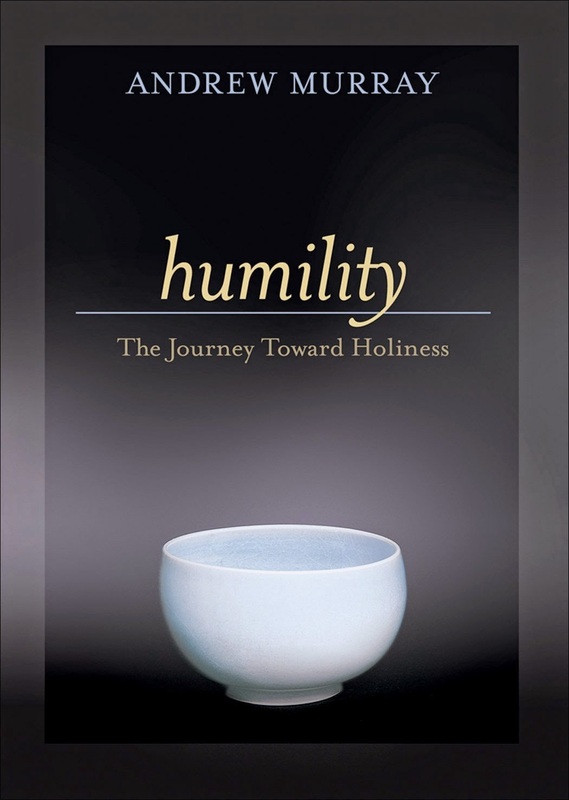 When Jesus “made himself nothing...taking the nature of a servant,” He modeled for all believers true humility. Andrew Murray calls this “our true nobility” and “the distinguishing feature of discipleship.” With insightful, penetrating clarity, Murray calls all Christians to turn from pride, empty themselves, and study the character of Christ to be filled with His grace. Often called the best work on humility ever written, this edition has been edited for today's reader. Andrew Murray, 1828-1917, was a South African writer, teacher, and Christian pastor who authored more than 240 Christian books in his lifetime. How Does Heaven Invade Earth in a Way that Earth Becomes Like Heaven? In one of the darkest epochs in history, Jesus Christ had the audacity to teach His followers a prayer so shocking that it continues to defy human reason. Jesus turned to His tattered brigade of spiritual warriors and said, "Pray that My Father's kingdom would come and His will would be done on Earth, just as it is in Heaven." Are these words a wish upon a star, a too-good-to-be-true mantra created to make suffering people feel a little better? Did Jesus intend His prayer to be prayed by untold billions but only be answered for a few in some distant eternity? What does the Lord's Prayer, given by Jesus two millennia ago, have to do with our present-day world? Is it possible that the words Jesus taught us to pray can answer these and other pressing questions? • Is our world eroding or evolving? • Is global warming the beginning of the end? • Will evil triumph over good? • Are we hurtling toward obliteration? • Or is there more reason to hope than ever before? 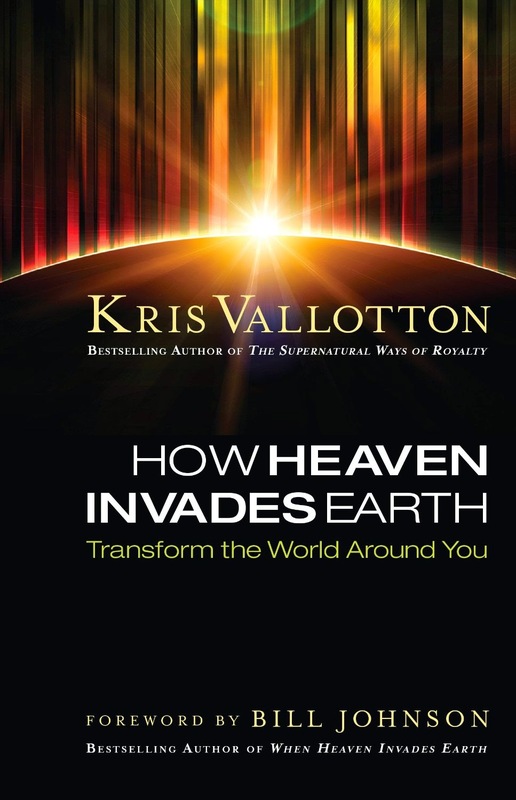 How Heaven Invades Earth unearths the mysteries of the Lord's Prayer to give you answers and prepares the Church for a revolution that will transform every realm of society. 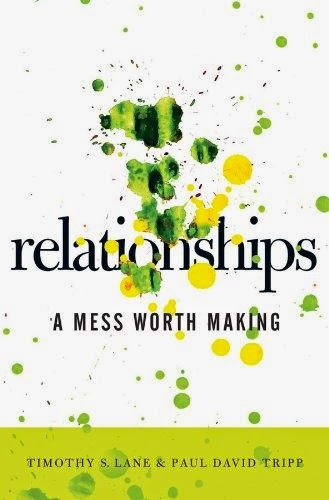 A book about relationships, written within the context of their own friendship, Tim and Paul's new offering is straightforward about the relational disappointments that we all suffer. But they are also optimistic about the power of grace to redeem and restore our relationships. Rather than presenting new or sophisticated techniques to make relationships flourish, the authors instead focus on the basic character qualities that can only be formed in the heart by the gospel. "We are called to be people of great character so that when we do come in contact with the world our character shapes and influences those around us. Even though relationships are messy, they are also what God uses to rescue us from ourselves," say Tim and Paul. Timothy S. Lane, M.Div., D.Min., is Executive Director of the Christian Counseling & Educational Foundation (CCEF), a faculty member, and a counselor with twenty-five years of experience, including ten years as a pastor. He is the coauthor of the books How People Change and Relationships: A Mess Worth Making, coauthor of the curriculums Change and Your Relationships and How People Change, author of the minibooks Conflict; Family Feuds; Forgiving Others; and Freedom from Guilt. Paul David Tripp, M.Div., D.Min., is the President of Paul Tripp Ministries, a nonprofit organization whose mission is to connect the transforming power of Jesus Christ to everyday life. This mission leads Paul to weekly speaking engagements around the world. In addition, Paul is on the pastoral staff at Tenth Presbyterian Church in Philadelphia; the Professor of Pastoral Life and Care at Redeemer Seminary in Dallas, Texas; and the Executive Director of the Center for Pastoral Life and Care in Fort Worth, Texas. Paul is a best-selling author who has written eleven books on Christian living. He has been married for many years to Luella and they have four grown children.